When the conveyor belt revolution came to sushi, it brought the once expensive cuisine to the masses. Along with massive popularity and mass production, the price for sushi came down drastically. So did the quality. Let’s be fair – how can you expect a 50¢ sushi taste the same as a $10 piece of the same fish, e.g. salmon. As such, the dish became polarised – on one end you get the very high end sushi restaurants serving the best examples without caring about the carbon footprint, and on the other you get the fast-food variety. Itacho bridged the gap between these two end – you get high-end stuff albeit at a lower grade, but way-above the mass market type with a price to match. This Hong Kong-based chain made its way here in Singapore, serving the local sushi aficionados with the same credo. 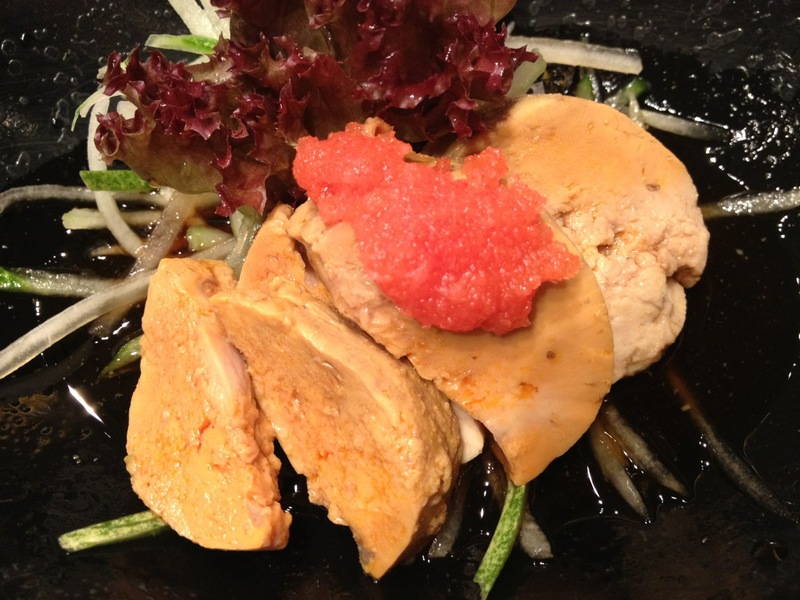 First up the list, Monkfish Liver (Ankimo) in Ponzu Sauce was a starter that is usually found in higher end sushi restaurant. The offering here was comparable. The liver was creamy yet firm, a very contrasting texture. The Ponzu sauce complimented well with the liver, though it was not fishy. 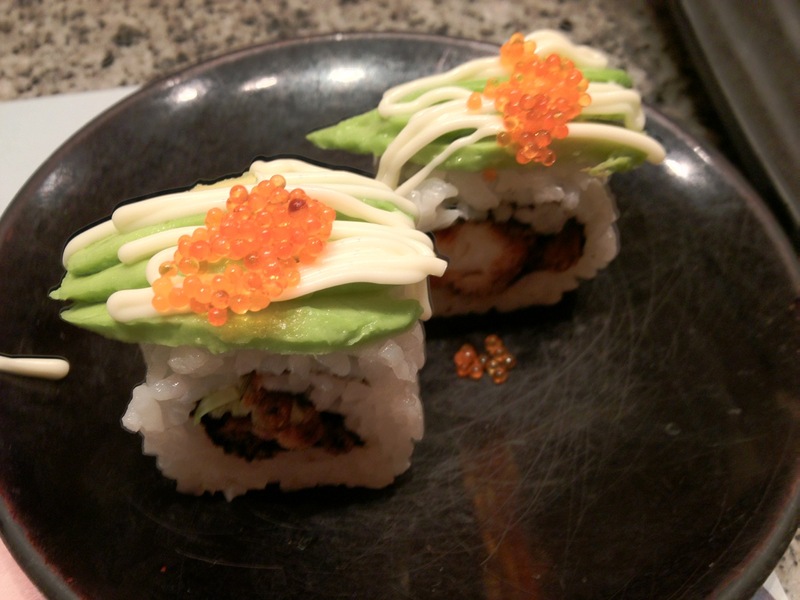 This avocado and softshell crab maki was one of those “Califomication” of sushi to make more palatable to the US market. Deep fried softshell crab wrapped in sushi rice decked with avocado, the combination can do no wrong. I am not a big fan of these fusion style sushi creations. But I am not against a cuisine from evolving itself. Sushi itself had evolved over the last 700 years to come to this form today. Why shouldn’t it continue to evolve? 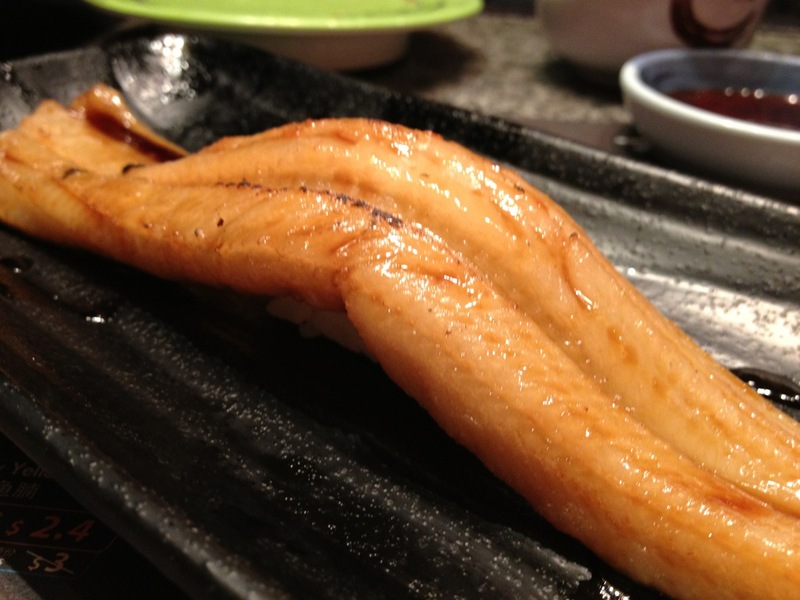 This is a rare find in Singapore – a sushi featuring a whole sea eel. The first time I ate this was in Tokyo, and that costed me $25! This one in Itacho – $13. Very different from the usual Teriyaki Unagi (which is River Eel), the Sea Eel was lightly seasoned and not as sweet as the Unagi variety. Also the meat was firmer and less “earthy” too. I learnt a new thing everyday – Bamboo Clam is known as Tresus Keenae (scientific name) or Mirugai in Japanese. OK, these were slightly below par. This combination would set you back $49++, so I would not term this as value for money. 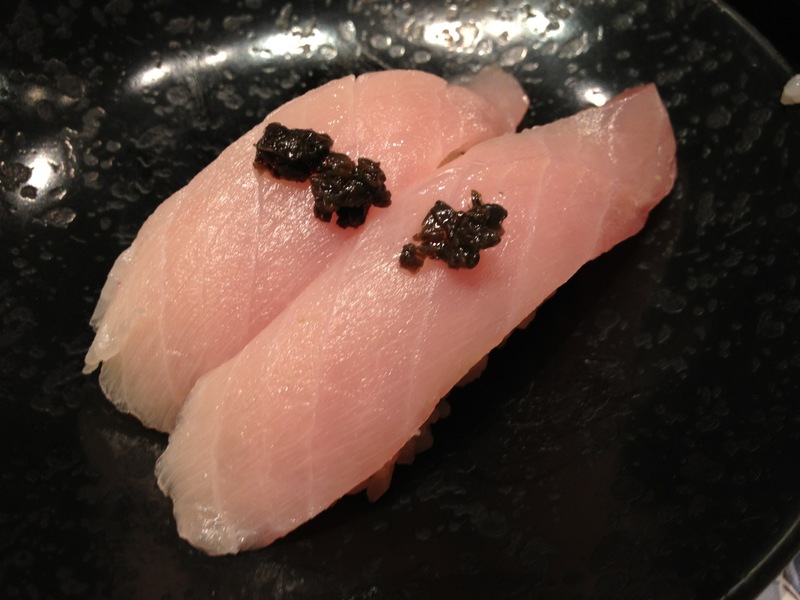 Hamachi was in season, so they should be oily and fatty. However this one that we got was dry and flaky. Not good. No wonder it was on offer at $3.80++. A little side story: we order this together with the rest. It did not come after we had finished everything, so we have to ask for it. It was slip-slop assembly that showed us the process Itacho handled their sushi when they are under pressure – the rice were pressed beforehand, and the fish were pre-cut. And then the cashier could not figured out what were eaten and what were not, so you better check the bill before you pay. Food: 3/5, some good some bad. Ambiance: Noisy, not for your dates. Service: Slip-slop, not very coordinated. 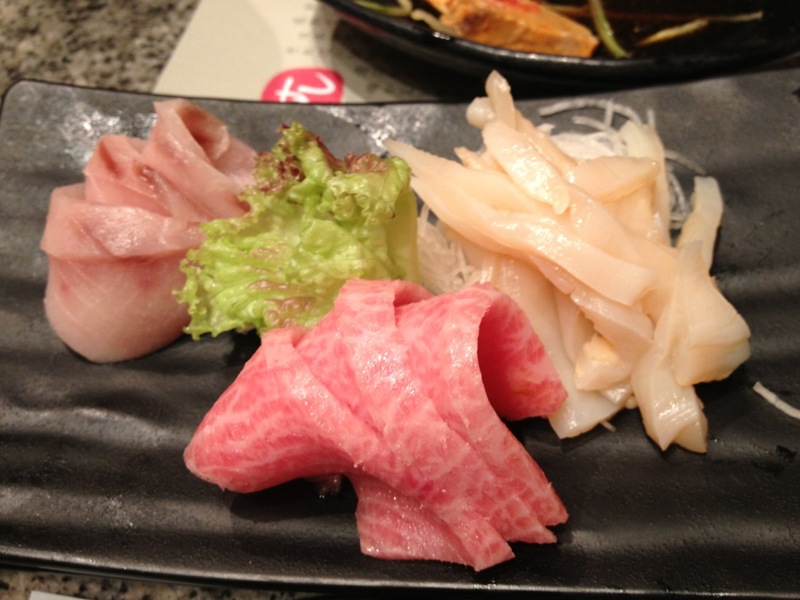 In short – chain sushi store – so expect the service level of a chain sushi store, though some of the products were not too bad.